Archaree is a Partner in the firm’s Bangkok office. Her practice focuses on banking and finance, corporate and commercial, competition and antitrust, employment, and securities. She has advised on several cross-border banking facilities and has experience in advising Thai and foreign clients on securities and derivatives laws and regulations. She has assisted both Thai and foreign multinational clients establishing business operations and has advised on relevant laws regarding foreign investment in Thailand. She has been involved in numerous cross-border M&A transactions. In regard to employment, she regularly advises on employment agreements, termination of employment agreements, change of employer, early retirement and other legal issues in respect of Thai labour laws and regulations. 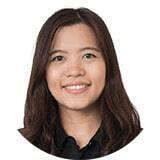 Archaree joined ZICO Law Thailand in March 2010, prior to which she was Junior Lawyer at FBLP Legal Ltd. (December 2009 – February 2010), Legal Trainee at Dharmniti Law Office (April – November 2009) and Legal Intern at Vickery & Worachai Ltd. (April 2006). She left the firm to join The Siam Commercial Bank Public Company Limited in November 2015 and re-joined the firm in September 2017. She became a Partner in January 2018.